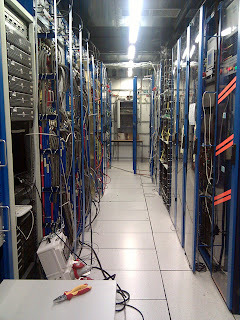 I went on a tour of CERN, the European nuclear research center that is home of the Large Hadron Collider (LHC). 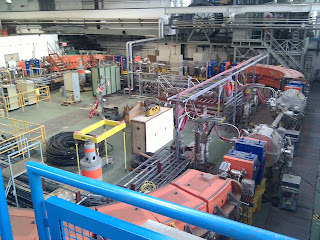 The facilities are split over multiple sites because the LHC is 27 kilometers long and 100 meters underground. 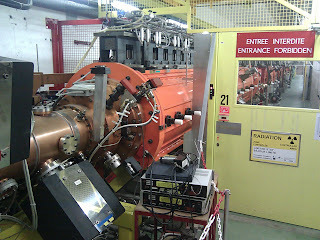 I had a chance to see some of the smaller particle accelerators as well as the CMS experimental site in the LHC. Here are the best pictures from the tour. 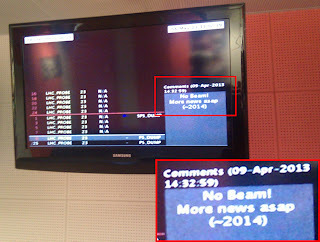 There are screens around the campus, even in the cafeteria, showing particle accelerator activity. Currently the LHC is offline due to hardware upgrades and will be coming back around 2014-2015 with higher particle energy. It's actually a good time to visit since it's possible to see experiment sites that would be inaccessible during operation. 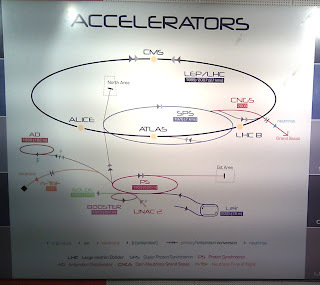 CERN is home to several different particle accelerators. 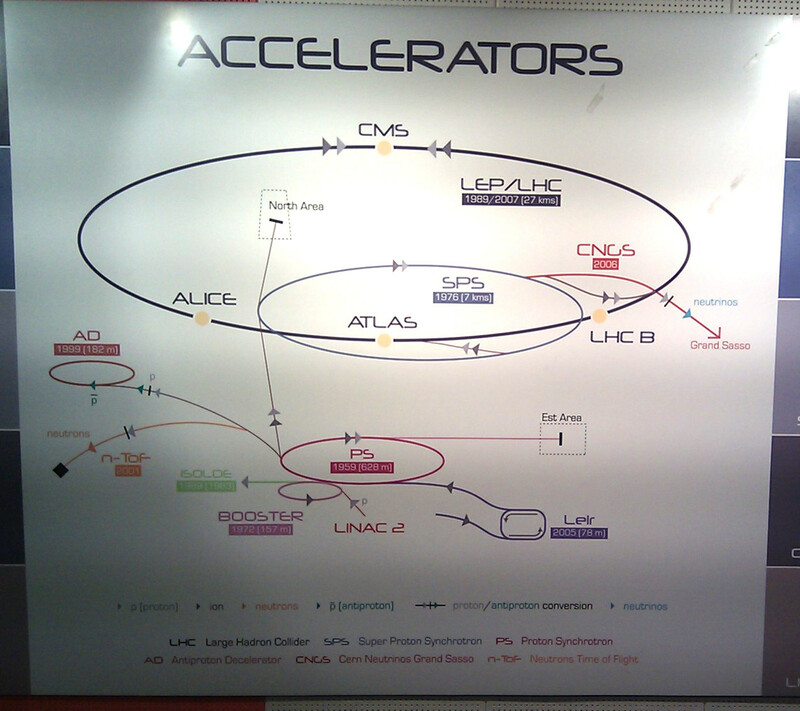 Some are linear accelerators while others are ring-shaped to allow the particles to loop continuously (like the LHC). Particle beams are built up in "packets" or bursts, the low energy accelerators may be used to spin them up before injecting them into larger accelerators. Linac 2 and Low Energy Ion Ring (LEIR) are smaller particle accelerators. Their length is in the 10s of meters, which means you can see the whole thing. The principle seems to be similar to that of the big accelerators: force particles to collide by sending them through a vacuum guided by magnetic fields. The point of collision is equipped with sensors which measure the particles produced by the collision. The LHC is much larger scale than Linac 2 or LEIR so it has unique tricks up its sleeve. The electromagnets used to keep the particle beam on its course require so much energy that superconductivity is used to eliminate resistance. This means the pipe is cooled close to absolute zero and has insulation and a vacuum to shield it from the external environment. 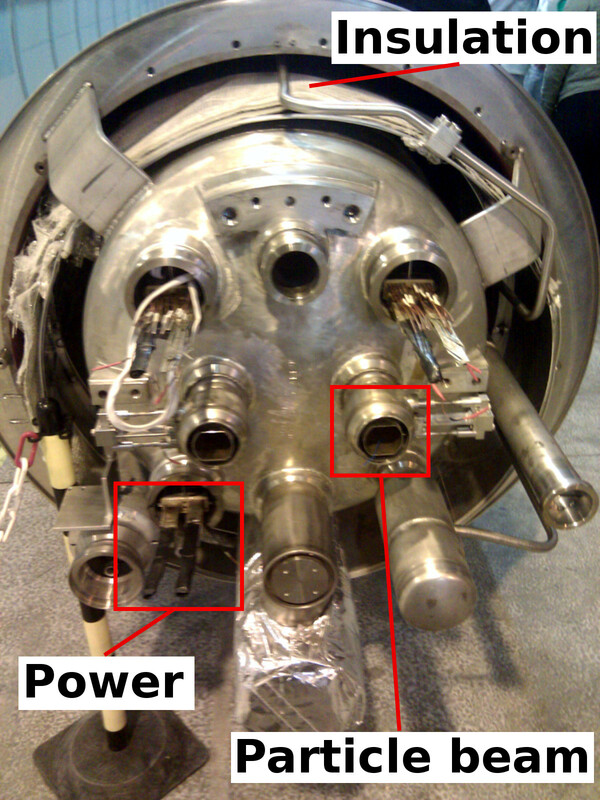 The collisions are produced by accelerating two particle beams in opposite directions - clockwise and counterclockwise. 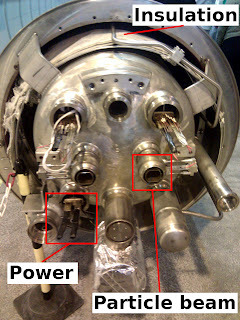 You can see the two particle beam pipes in the picture above. The beams are kept separate for most of the ring, only the experiment sites which contain the detectors will cross the beams to create collisions. 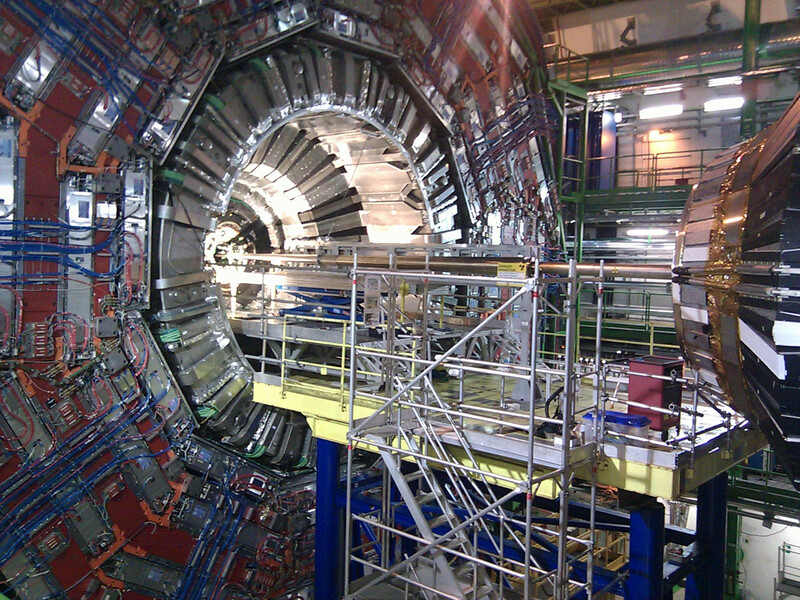 The Compact Muon Solenoid is one of the experiment sites on the LHC ring. 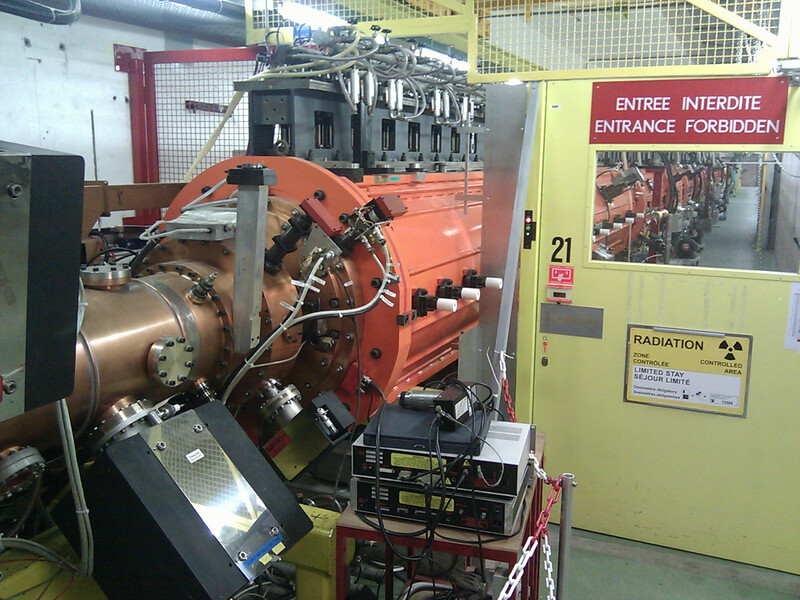 It has a huge chamber filled with sensors that measure particle collisions. It is 15 meters in diameter and hard to get a picture of due to its size. 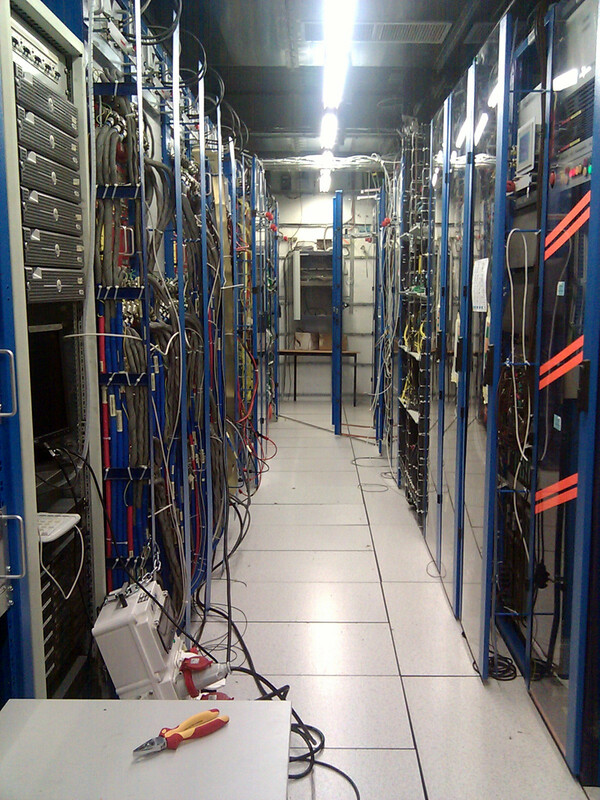 There is also some datacenter space above with machines that process the data generated by the experiments. The experiments produce a huge amount of data - only a tiny fraction of the collisions produce interesting events, like a Higgs boson. The incoming data is processed and discarded unless an interesting event is detected. This is called "triggering" and avoids storing huge amounts of unnecessary data. When walking past the racks I saw custom hardware, circuit boards dangling from machines here and there, which is probably used for filtering or classifying the data. 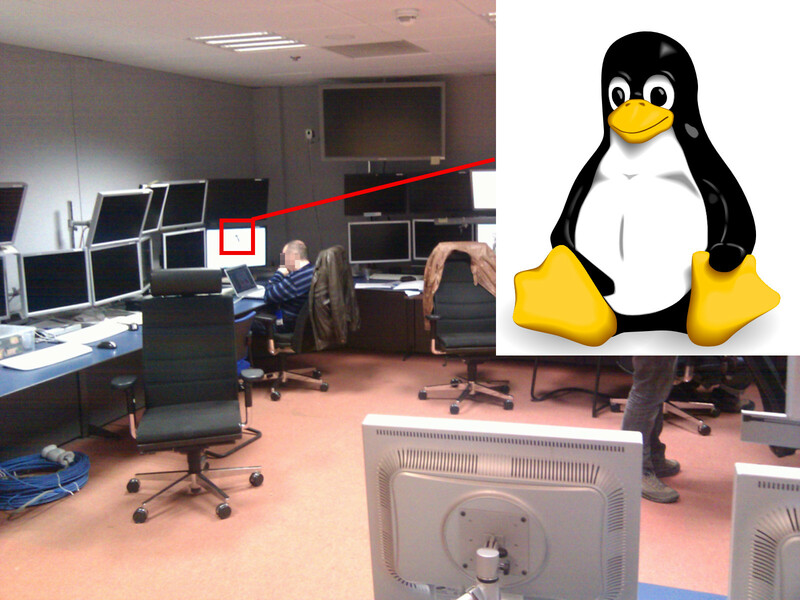 Finally, I spotted the Linux mascot, Tux, on a monitor. Nice to see :-).